Don’t tell my students, but my legs really hurt. My feet ache. I think twice before using the facilities because, well, my quads hurt when I sit down. When I went for a jog this morning, I wondered what 90-year-old had swapped their body with my almost-50-year-old body. I blame it on the Grand Canyon. Ok. I take full responsibility. Someone (me) had the great idea that the school should have another Super Sunday—a day when the teachers bust out of their regular roles and teach a class about something that they love to do. Pedro took a group mountain biking, another teacher taught about Japan and served Japanese food, someone else took kids Frisbee golfing and another teacher taught a card making class. Me? I wanted to hike down the Bright Angel Trail to River’s Rest and back up again in one day. Why? Maybe because I did it on a whim two years ago, and then I did it again last year—which makes it a tradition. Nine days before the hike I managed to twist my ankle pretty badly, and I worried that this year I wouldn’t make it to the bottom of the canyon, much less back up again. But I had 15 teenagers signed up to go—willing to roll out of bed and onto the bus at four in the morning—getting out of bed that early on a weekend morning defies teenager logic. There’s no way I was going to let them down. The Grand Canyon defies gravity. They even post signs along the rim affirming this phenomenon: “Warning! Going down is optional; coming up is mandatory!” But after my last two experiences, I knew what to expect and I prepared for the hike, hoping I could avoid the day-after-aches-and-pains. Evidently, no amount of stair climbing and running on relatively level terrain can adequately prepare one’s body for the rigors of the canyon. After everyone filled their hydration packs with food and water, we gathered for last minute instructions. We prayed for safety and strength for our journey and took off down the trail. After the first three miles, my shins started to hurt. The students had galloped down the trail with my warning to wait at Indian Garden ringing in their ears. When I reached Indian Garden, none of the other sponsors had arrived, but a text message came through advising me to not wait for them. I took a quick break, retied my bootlaces and told the kids to head on out if they wanted to go all the way to the river. They did. The prettiest part of the hike follows Garden Creek below Indian Garden. Lofty Cottonwoods provide shade, and the walls of an overhanging canyon hug the narrow pathway. Cliff rose blossoms perfume the air and the clear water of the creek sings harmony to the birds tweeting overhead. But the stampede of students had passed me, so I couldn’t linger—I knew how much they wanted to dip their feet in the icy Colorado River. I hurried on—down the corkscrew curves and switchbacks until the trail met up with Pipe Creek, which eventually ran into Garden Creek again shortly before dumping into the Colorado. The kids cheered when I arrived (not because I had arrived, mind you, but because they could now enter the water). Most of them had already devoured their sack lunches, even though it was only 10:30 in the morning. I took off my boots and socks, soaked my hot feet in the river and ate my lunch whilst keeping a wary eye on the students. The river flowed swiftly and the water level seemed higher than in previous years. The crazier kids immersed themselves in a quiet eddy with groans and yells. “Mrs. Ojeda, it’s your turn!” one of them challenged. “Let me finish my lunch,” I replied, “then I’ll go in.” Yep, the water felt like it had just melted off a glacier. “You’ve got seaweed on you,” one of the kids said when I hauled myself out of the water mere seconds after dunking under. Sure enough, some sort of aquatic plant had hitched a ride on my shirtsleeve button. I smelled fishy, but hiking up the hill wet sure makes the journey more pleasant (I should caution that wearing jeans would NOT be comfortable—I had quick-dry shorts and a long-sleeve shirt on). The elevation at the bottom of the canyon is the same as the elevation in Tucson, AZ. By the time one reaches the south rim, one has climbed a vertical mile and the temperature and weather feels more like that of Flagstaff. “Remember, I’ll buy ice cream for everyone who makes it to the top before I do!” I called out as the kids picked up their trash and tied their sneakers. By the time I located my hiking poles and checked around to make sure no one had left garbage, I found myself alone on the beach. I love a good challenge. I passed the first group of students after a mile. After two miles, I found two of the other chaperones munching on lunch in the scant shade beside the trail. They promised to wait for the stragglers, and I kept on hiking. My need to pass more students warred with my photographer’s eye. I compromised by stopping occasionally to snap quick photos. At Indian Garden I caught up with another student. Right after Three Mile Rest House, I caught up with another one. “You should carry me to the top, Mrs. Ojeda,” he said as I paused to ask him how he was doing and take a few shots of the way we had come. I started passing more and more people who looked ill equipped for the trail. Flip-flops shod their feet and they carried nothing more than a cellphone stuck to their ear. No water. No snacks. No realization that they had already traveled three miles down the trail. No pauses to wonder at the majesty of the canyon. Going up is mandatory. The last mile and a half of trial climbs this impossible-looking section of canyon. The closer I got to the top, the more incredible the hike seemed. Despite the seven miles of trail between me and the river, it seemed impossible that the trail would somehow wind to the top in a mere mile and a half. The sheer walls towering above me seemed impossible to scale without ropes and climbing equipment. But I knew that a trail clung to the sides of the cliff because I had passed this way before. The view looking back from about a half mile to the end of the trail. The river of green to the right is Indian Garden (4.5 miles down), and the trail continues to the right (not the faint trail you can see to the left). Many of our life journeys follow a Grand Canyon sort of path. We step out blithely, ill equipped and naïve, only to find the journey more difficult than we anticipated. We wear ourselves out on the downhill sprint, only to realize that we have little in reserve to make it to the top. But what goes down must come up. And when the way seems impossible, God has already prepared a way out for us. When the way overwhelms us with the impossibilities, if we call on God, he’ll reveal the potential within us and give us the comfort and strength that we need. Each journey we take—whether it’s a caregiver journey or a journey to better health or a journey to stronger relationships—strengthens us for the next journey that looms. 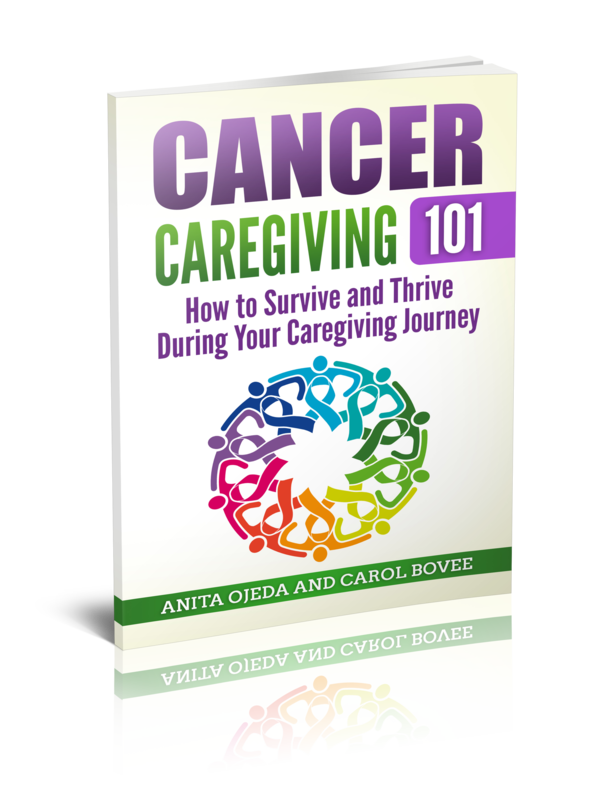 My journey as a cancer caregiver prepared me for my journey as a parent with an adolescent in full-blown mental health crisis. Each journey involved a common element—the knowledge that God was in control and would be my shepherd no matter what the outcome. By the time I reached the top, I had managed to pass seven students. But everyone got ice cream—after all, the challenge was more about me being competitive with my time from last year and giving them an incentive not to linger. The next time they face an overwhelming situation in their lives, I want them to remember their accomplishment—that they DO have the strength to do what seems impossible, and that with God’s help, they can do all things.